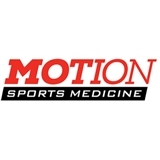 MOTION Sports Medicine (Brooklyn) - Book Appointment Online! What should you look for when choosing a physical or occupational therapy clinic? At MOTION Sports Medicine, we believe in the highest quality standard of patient care. Our therapists are an incredibly talented team. They have advanced credentials and follow evidence based treatment protocols that lead to the best outcomes. Your success is our success! Most importantly, MOTION Sports Medicine clinics want to get you back to where you want to be. excellent! at first i felt a bit shy about being treated in an open room with other patients, but quickly realized that everyone was focused on their own treatment. the facilities are clean and comfortable, and well taken care of. my appointment with dr. sekely was timely, and impressive. i felt heard and appreciated her knowledge, patience, and expertise. looking forward to future appointments and feeling very optimistic about my strength and healing through PT. Jose Pereira was so welcoming and helped me understand what was going on with my body/ pain. Excellent service, office has a "where everybody knows your name" feeling. I like it a lot. Super friendly staff! My 5 y.o doughter was happy to have a therapy. Special thanks to Michelle and Sherill for their patience and care. Quick service and friendly staff !